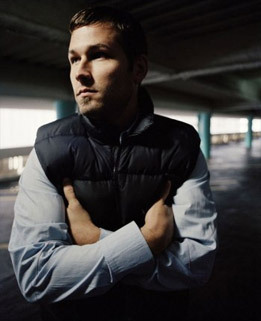 Mixed In Key sits down with Kaskade (Ryan Raddon), an incredible House Music producer from San Francisco. DJs and fans from all over the world love Kaskade’s music. We talked with him about his production techniques. Mixed In Key: Do you remember the moment when you decided that you wanted to make music for a living? Kaskade: Music has always been a part of me. In the beginning, I was just trying to dodge getting a real job. I never dreamed that it would go the way that it did. Mixed In Key: You produce consistent hits in dance music. How do you find inspiration to create new music every month? Kaskade: I am always trying different things in the studio to keep it fresh. I move around between styles from ambient to deep to more club-oriented stuff. Whatever is inspiring me now is what I will work on. I don't try and spend too much time on any one song. If it’s not working, I trash it and start over. Mixed In Key: Which synths/drum machines do you use to create the initial draft of your songs? Kaskade: I have created my own sound banks over the years. I use drums and synth patches to get an idea going before I dive in too deep. Korg Micro makes it easy to get simple things out. I am also a big fan of the live bass and Rhodes to get a organic feel to things. You can check out my studio rig to see all the stuff I use. I keep everything simple so I don't get distracted from the creative process. Mixed In Key: What's the best way to create an intimate, "small-room" House track? 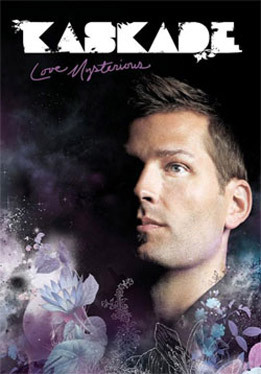 Kaskade: Live elements keep the sound more intimate and real. It works in a lounge environment where people want to hear the soul. Mixed In Key: How do you create "big room" tracks? Kaskade: I like to use drums that really crack through. I also use a lot of reverb and delay to help give them that feel. Another trick is to stack multiple sounds together to add more depth - For example, you can play the same synth part 5 times with 5 different patches and make it sound big. I use well over a hundred channels with multiple plug-ins for a typical production. Mixed In Key: When trying to create a "big room" track, many producers get a Trance-sounding record instead of Hed Kandi-style House music. How do you create the perfect House lead? Kaskade: Typical house sounds can be found in the Juno or other classic synths or Rhodes. On one of my bigger tunes “Gonna Make It,” I mic’ed up a Baby Grand piano to get the sound that I wanted. Try lots of stuff until you find what you like. If you do not like the sound, keep digging. For House music, try to automate your audio filters. I would automate the send, wet/dry level, resonance and frequency for my filter sweeps. Mixed In Key: How do you know when you've found a great vocalist? Kaskade: My vocalists need to be cool people and easy to work with. With any vocalist, you need to talk to him or her and convey the words and melody that you have written in order for the performance to be convincing. You will know when you are working with great vocalists when it feels right, and that makes all the difference. Any awkwardness will come out in the recording. All the people I work with are great and that’s why I continue to go back to them -- Joslyn Petty, Marcus Bently, Haley Gibby, Sunsun, Tamra Keenan, Becky Williams, Latrice, and the list goes on. Mixed In Key: What was your first major pop remix, and how did you get the job? Kaskade: Justin Timberlake's “Like I Love You”. The A & R guy called out of the blue saying he had heard one of my tracks on a compilation and wanted the same sound for the remix. I turned in the remix and they ended up not using it. I gave out my version to a few friends and it made the rounds. Soon, it was bootlegged and I was hearing it everywhere. Everyone form Grand Master Flash to Mark Farina was playing it. After that, the phone just continued to ring. Mixed In Key: Other than Justin, you have also remixed the likes of Seal, Nelly Furtado, and Britney Spears. What advice can you give to producers who want to remix Top 20 artists? Kaskade: Spend time developing your own thing. Once you do that, people will recognize you and come for "your sound." Mixed In Key: You're also a professional DJ. What equipment do you bring to your DJ gigs? Kaskade: I always have my laptop loaded with a Pro Tools micro, Reason and Live. I have my kick/snare/hats/bass/lead separated onto individual tracks. This gives me more control so I can manipulate the program. Mixed In Key: What is coming up next in 2008? Kaskade: I am trying to finish my next artist album. It is due out in the spring of 2008. I dig the dance stuff but I really enjoy making chill and ambient music, too. In the end, it all represents what I am feeling. Right now, I am just excited to be finishing it. The icing on the cake is just doing the final tweaks and seeing the light at the end of the tunnel. Mixed In Key: Thank you, Kaskade! We wish you good luck with your new album. Interview by Chad Pranke, Nathalie Lavine and Yakov Vorobyev, January 2008. 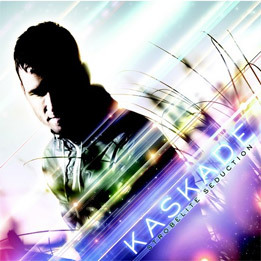 To buy his tunes, visit KaskadeMusic.com or buy them in your favorite music store. Kaskade uses Mixed In Key software on his Mac for harmonic mixing. Kaskade makes great House music. His work has mass appeal, but it works in underground clubs as well. He is one of our favorite harmonic mixing DJs.